Education is a hugely important part of what we do here at Coastal Fitness Performance Training. Our vision is to continually invest in creating platforms which allow us to help educate people on how to be better both physically and mentally. 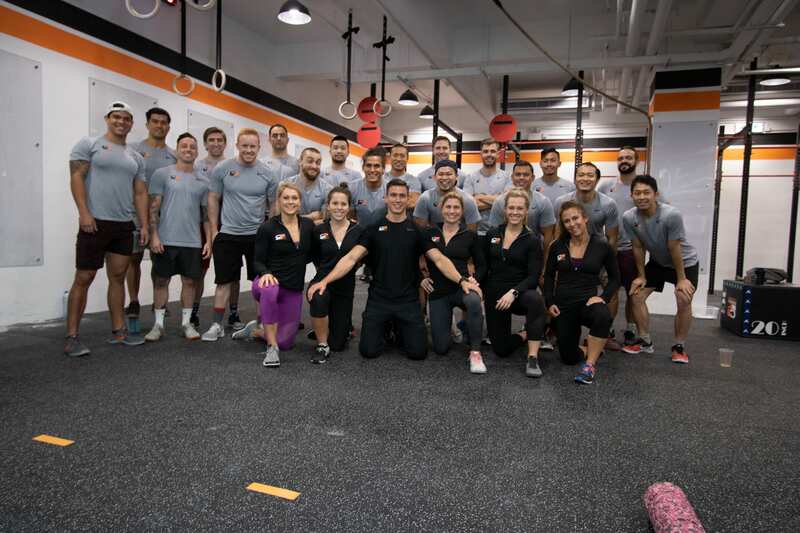 In recent years we have put on a number of seminars that look to provide the knowledge accrued by our coaches to both Athletes and fitness professionals alike. The content in each seminar can vary based upon the audience but rest assured there is always a wealth of information being shared! For anyone interested in taking part in the CrossFit Open in October 2019, whether as a veteran athlete or a first timer. This is a two day camp covering education and competition to prepare athletes for both the RX’d and Scaled divisions of the CrossFit Open. For any athletes participating in Regional or International CrossFit competitions in Asia and around the world. This is a two day camp covering education and high level competition to prepare athletes for top level international CrossFit competitions. Interested in attending one of our Athlete Camps? Register your interest now and we will be in touch with further information.